We give incredible private tours of Miami, the Florida Everglades, and the Florida Keys AND we rent really fun convertible Jeep Wranglers. We make Trips to South Florida a lot more fun! 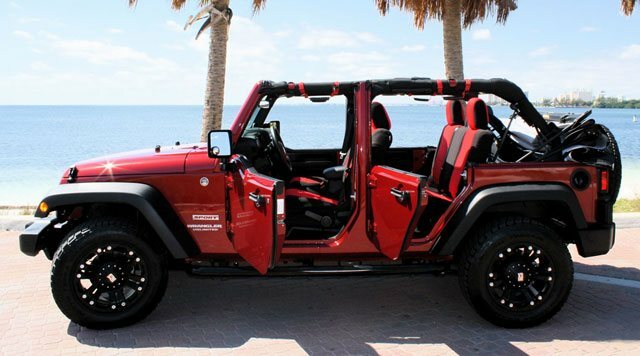 We specialize in renting 4 Door Convertible Jeeps in Miami and Ft Lauderdale, and we deliver them to you. We promise to provide you the quickest, easiest, and friendliest car rental experience you will ever have! No hassles, no hidden fees. Just great looking Jeeps delivered by nice people. Take one of our unique Everglades Tours and experience an adventure you will never forget. Our Everglades Tours are designed for small groups looking for a fun Everglades Adventure. 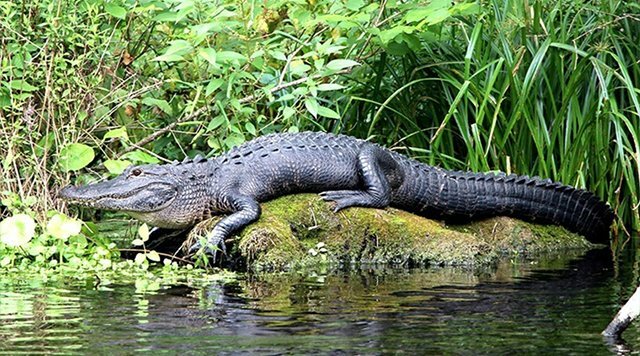 Your own private guide will take you deep into the Everglades where you will get to see tons of animal life and beautiful scenery, all from the comfort of one of our safari Jeeps. Afterwards, we take you on an awesome private airboat ride and provide you an opportunity to hold a live baby alligator. This tour is great for adults and children alike. Tons Of Fun Tours are the best in Miami. 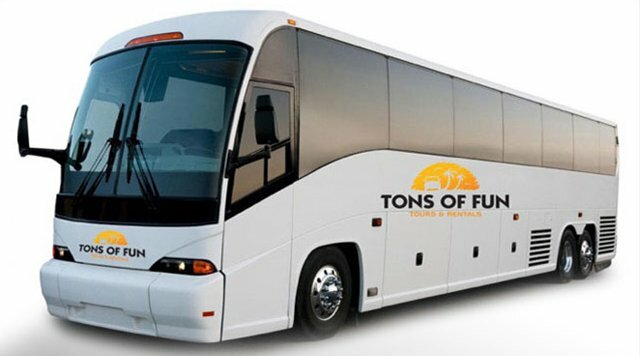 We specialize in providing intimate and unique tours of the city’s best attractions. 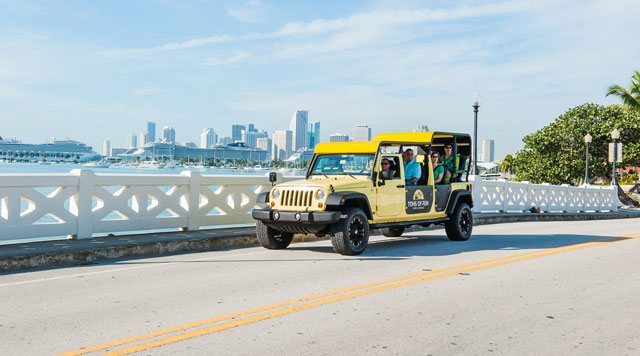 We’ll take you on a memorable sightseeing adventure in one of our fully convertible Jeep Wranglers or the world’s only Giant Jeep designed with stadium seating for up to 8 passengers. Our professional guides’ knowledge and fun personalities will exceed your expectations. Whether you’re a history, architecture, food, or outdoor enthusiast; Tons Of Fun Tours will make sure you get the most out of your time in Miami. Book your Tour Today! Take a personalized tour of the world famous Florida Keys! Travel south through the southern edge of the Everglades to exotic locations in Key Largo, Tavernier, and Islamorada. Being surrounded by the stunning beauty of the Atlantic Ocean AND the Florida Bay is simply breathtaking. Experience local ecology, and Florida Keys culture. 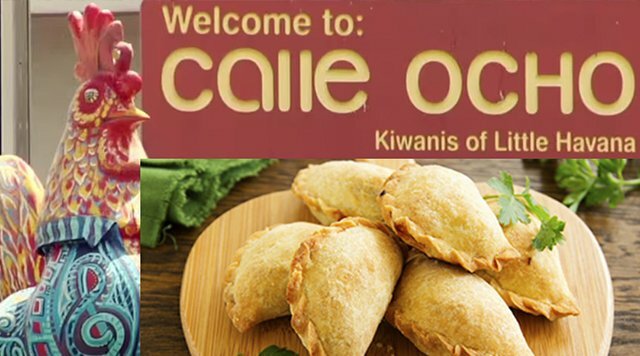 Try fun and incredibly fresh seafood dishes and world famous Key Lime Pie. Visit some of the most popular food and drink, shopping, and waterfront destinations in the upper and middle Keys! 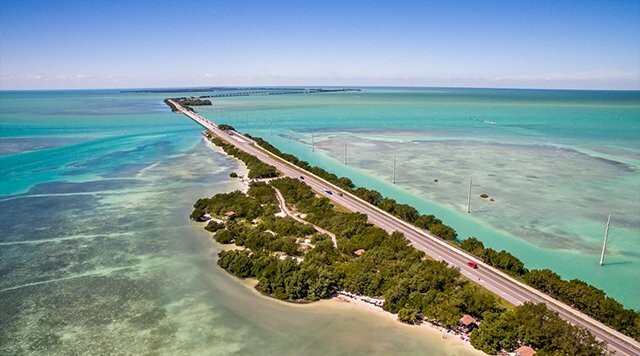 Experience what makes the Florida Keys Tons of Fun! Amaze your taste buds during a fun tour of Miami’s best food destinations. Great stories and great food make fun memories. This tour focuses on places with both. Experience hidden gems that will wow your pallet and expand your mind. If you like to eat, and are feeling adventurous, this tour is a great choice and a lot of fun! We create tours, activities, and events designed to meet the creative and budgetary needs of the professional meeting planner or executive. We work with you from concept and design to successful execution.